As a physicist, Dr. Mark Rivard is fascinated by brachytherapy’s ability to provide “conformal, localized” radiotherapy compared to external-beam radiation therapy for treatment of multiple cancer types. 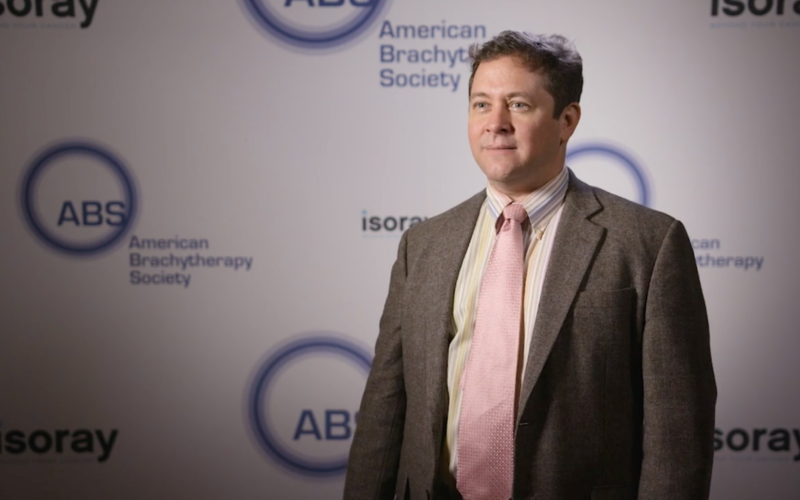 He was kind enough to share his thoughts with us in a video interview from the American Brachytherapy Society 2018 Annual Meeting. He particularly appreciates the attributes of high dose rate treatments and the advantageous biological effect of permanent or temporary low dose rate implants that leave little or no trace of their presence for better chances of excellent patient outcomes. Dr. Rivard attributes brachytherapy’s technology resurgence in part to the cesium-131 dose uniformity and more favorable half-life (shorter by a factor of six compared to iodine-125). Thanks to treatment planning advances where clinicians can now account for patient composition and new sources that are shielded or dynamically-modulated, an era of highly-targeted radiotherapy delivery is dawning. If you have been practicing brachytherapy with anything but cesium-131 or are ready to learn how to add brachytherapy to your cancer treatment arsenal, please contact us to arrange a call or meeting.